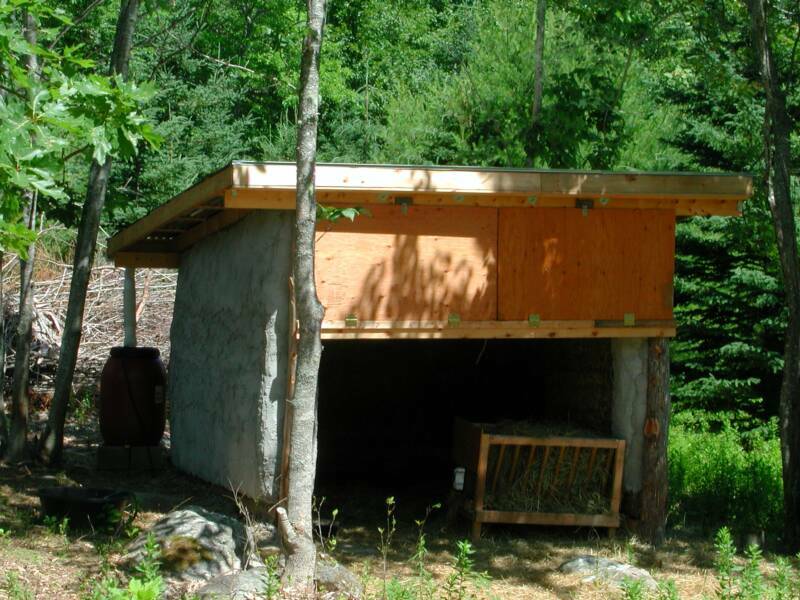 A straw bale, three-sided ram shelter was completed in July of 2005. The straw bales are in-filled between cedar posts which support the metal roof. Three thousand pounds of stucco cover the straw (2 coats). 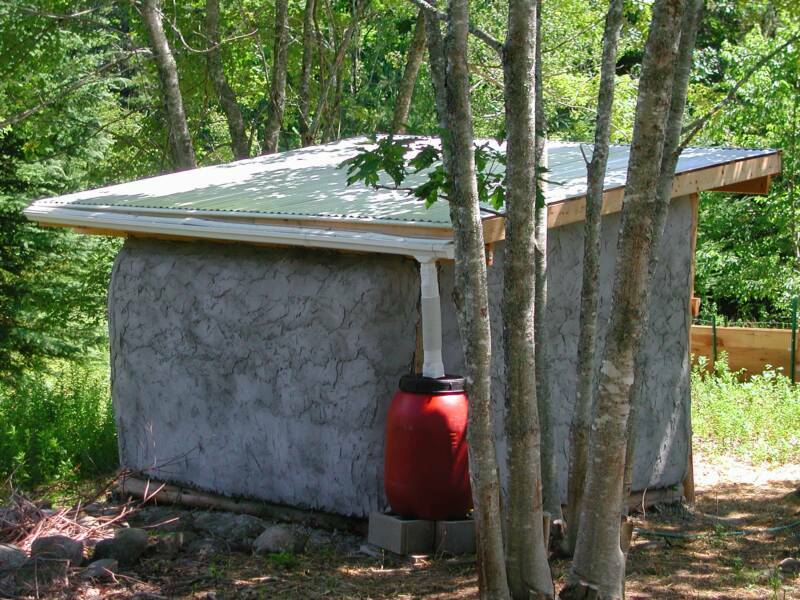 Rain water is collected from the roof to provide drinking water for the rams. 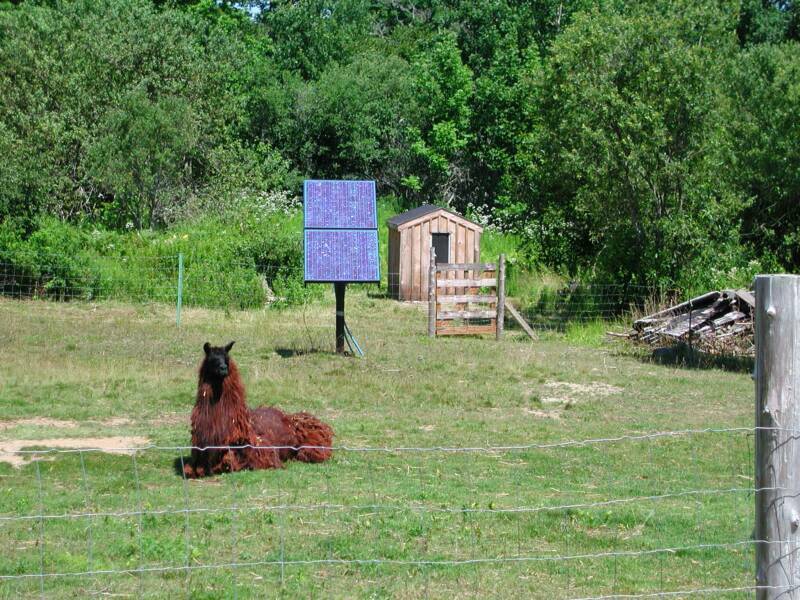 Pumped water and lights for the barn are powered by two solar panels mounted in the pasture, outside the barn. A well house is in the background. There is an old hand dug, rock lined well inside the house which provides water for the vegetable gardens and animals. Lights run off of a 12 volt, deep cycle marine battery kept charged by a solar panel. 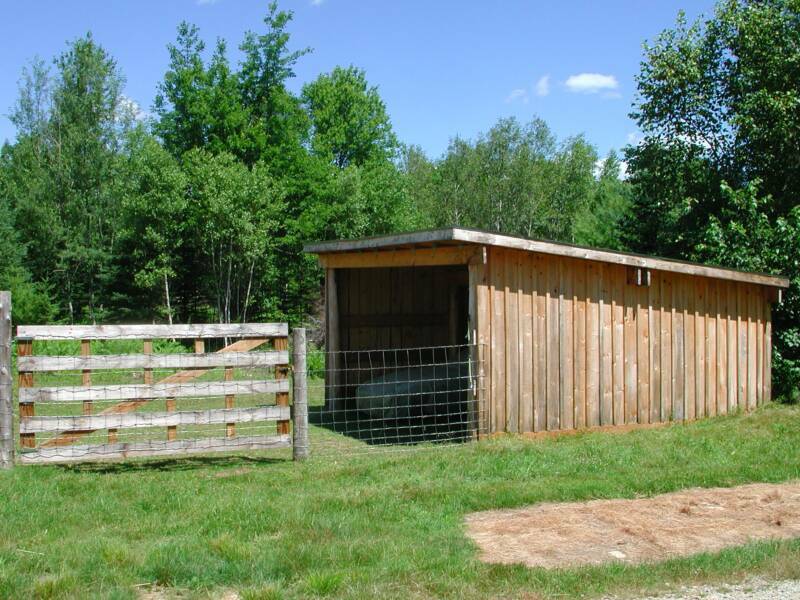 An equipment shed sits beside the barn. It is used to store farm equipment and an old car. It may be used in the fall as temporary housing for a breeding pair of sheep. The garden in full swing. A hoop greenhouse is used to extend the gardening season as well as grow hot climate vegetables. 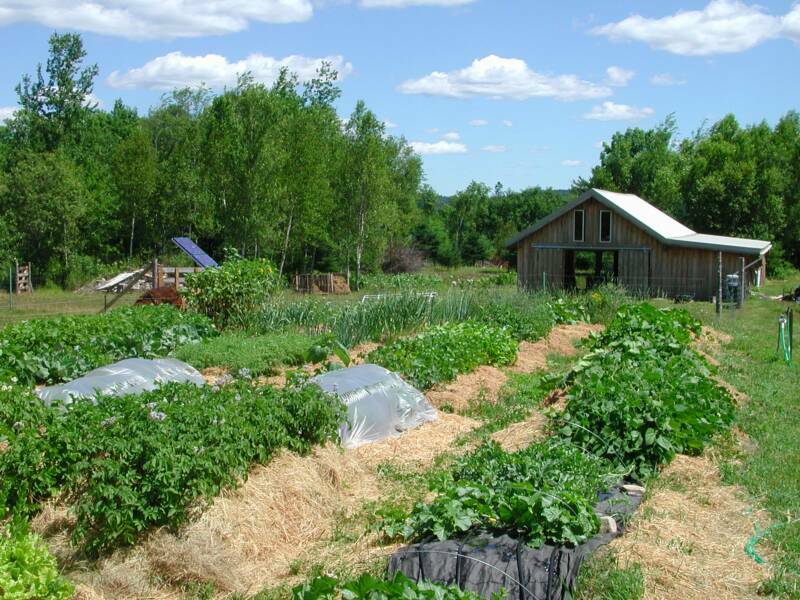 Fifty raised beds are gardened organically to produce vegetables for use all year. 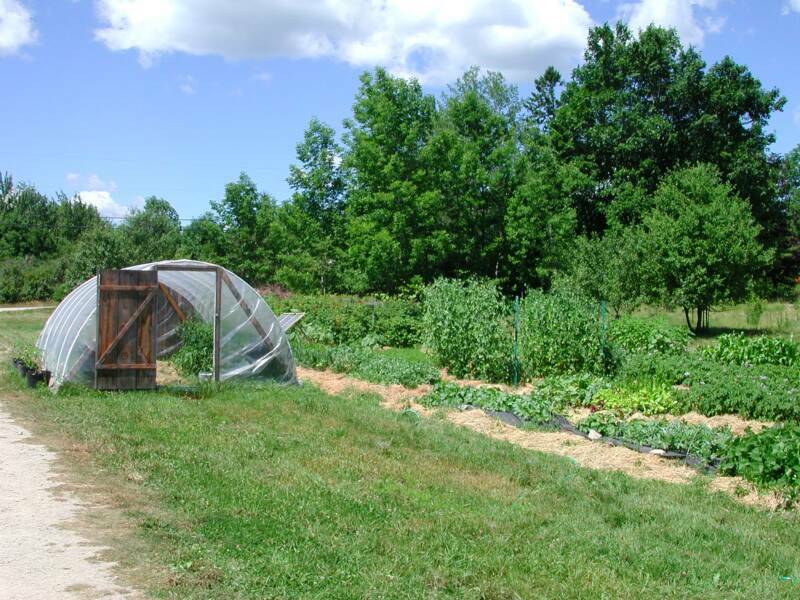 In addition there are beds of asparagus, rhubarb, garlic, two rows of red/black raspberries, and one row of grapes. 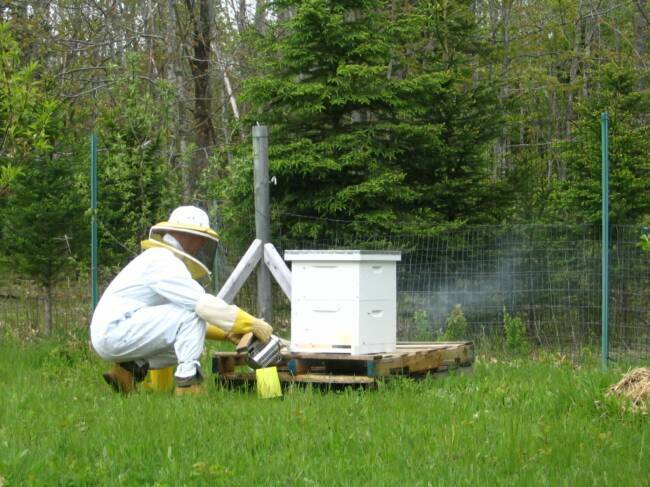 A beehive containing 20,000 Italian bees was added at the back of the fruit orchard, to improve pollination and for honey. 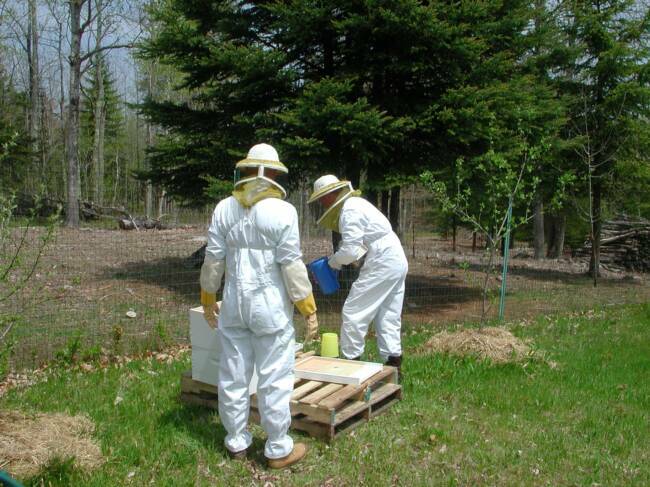 Here the hive is being assembled and sugar water is being added to their container.